This spring the longest lived insect in North America will emerge in southeastern Ohio, West Virginia’s northern panhandle, and southwestern Pennsylvania. It’s been 17 years since we’ve seen Magicicada Brood VIII. 2019 is the year. Juvenile periodical cicadas (Magicicada sp.) spend most of their lives underground, then in the spring of their 17th year they tunnel upward and wait just below the surface until they’re ready to appear all at once. On a mysterious signal, thousands simultaneously emerge at night and crawl up on trees, plants and walls to shed their exoskeletons and dry their wings. Until their bodies harden they’re completely vulnerable so they’ve evolved a predator swamping strategy on a prime-number cycle. They survive by sheer numbers. They’re so numerous that they can’t all be eaten, and their predators can’t surge their own populations on a 17-year schedule. You may remember periodical cicadas in 2016 so why are they back so soon? There are 13 broods, each with its own schedule and geographic region. Brood V emerged three years ago in West Virginia, Ohio and the bottom left corner of Pennsylvania. This year we’ll see Brood VIII in a smaller, different geographic area that includes Raccoon Creek State Park, only half an hour away from Downtown Pittsburgh. To give you an idea of how amazing this will be, check out my photos, video and tons of information at this 2016 article: Magic Cicadas. Note: There are also 13-year cicadas but they have a more southern range. 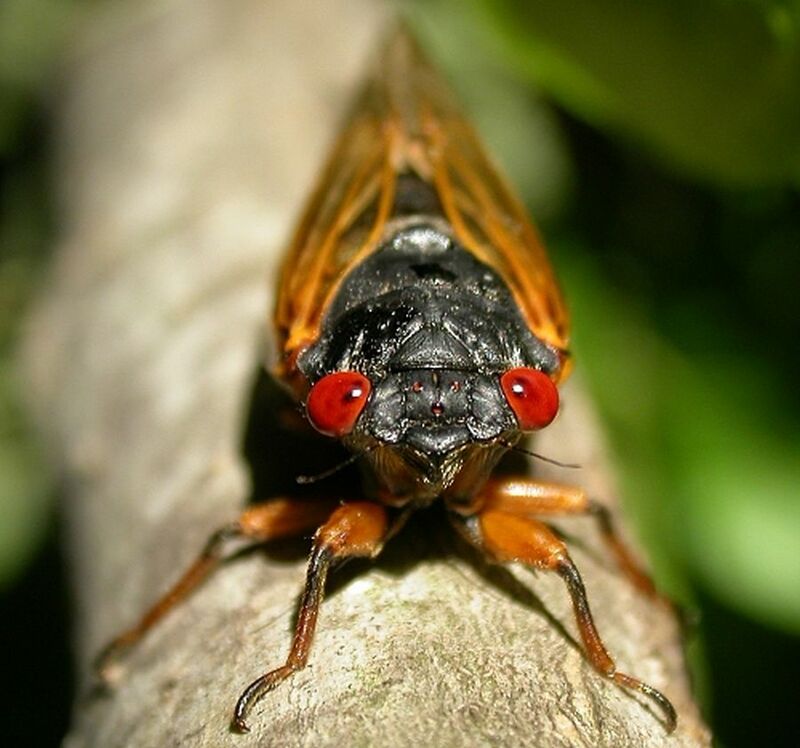 The special cicadas we’ll see in 2019, Magicicadas, are different in that there are so so many of them it’s like a plague. They are LOUD in a steady drone. You have to see and hear them to believe it. It’s well worth a drive to their area. Yeah we have some every year. This is NOT the same thing. Did you see them in 2002? That year those things kind in swarms. Like to the point you couldn’t walk from your car to your front door without killing multiples of them. This isn’t just a few and and there. It’s an infestation every 17 years. I very well remember the cicada storm at the Pittsburgh Air Show. I guess (doing the 17 year math) it must have been the 2002 show? Lordy. It was gross. And remember: ALL bugs are insects, but all insects are NOT bugs.